TG4, Bord Scannán na hÉireann/The Irish Film Board (BSÉ) and the Broadcasting Authority of Ireland (BAI) are collaborating in the Cine4 Development Scheme, a new joint-funding initiative to support the development and production of feature films in the Irish language. Open to live-action, feature-length, drama film projects in the Irish language. The Cine4 Development Scheme aims to encourage strong storytelling, visual flair and high production values appropriate for the big screen. Below are films that will begin production in the coming months. ‘Finky’ is a feature-length psychological drama that tells the story of Micí Phincí Ó Foghlú, a young musician with a tragic past who is crippled in a car accident and given a chance at redemption when he is recruited by a violent, avant-garde circus. The film comes from Galway based IFTA award winning Abú Media Film Productions and was developed and funded through the new Cine4 initiative. 'Finky' is directed by Dathaí Keane (‘An Klondike’), written by Dathaí Keane and Diarmuid de Faoite, and produced by Eileen Seoighe and Pierce Boyce. Principal photography will begin in November across various locations in Galway and Glasgow with Dara Devaney in the title role. DOP is Cathal Watters. Finky is produced by Abú Media Film Productions with funding from TG4, Screen Ireland, Broadcasting Authority of Ireland (BAI) and Section 481. 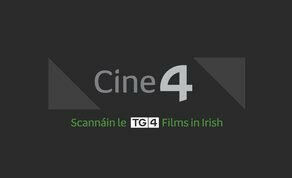 ‘Arracht’ is the first feature film to get the go ahead under TG4's, Cine 4 scheme. With a budget of €1.2m the film is jointly funded by Screen Ireland, TG4, BAI and support from Section 481. The film's producer is Cúán Mac Conghail for his company Macalla Teoranta. The film is written by and directed by Tom Sullivan. Arracht is Tom Sullivan's first feature film. Better known to most as an actor (‘Intermission’) and a voice over artist (‘Room to Improve’) he has started to forge a successful path as a director. Having directed three very successful award winning shorts he went on to direct the IFTA winning drama series ‘Fir Bolg’. Starring Seán McGinley. Kate McCullough, recent nominee of an Emmy for her work on the Farthest is slated to be Director of Photography. Final casting and location scouting is happening at the moment. The film starts shooting in late September for 5 weeks. The filming will take place in the West of Ireland. Dónall Ó Healaí, who Tom has worked with before will play the main part. Set at the start of the famine in 1845 the story centres on a man who loses everything and is accused of a murder. On the run for three years and with the help of a mysterious girl he attempts to rebuild his life. His past however comes back to haunt him. It will be in post-production for the winter and will get a cinema release in late spring 2019.